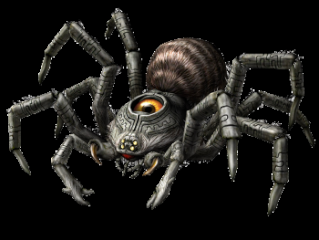 An armored spider that is 5 times the size of the biggest Wood Spider. This creature is highly intelligent and is even more dangerous. Few have lived to tell what the creatures big eye looks like. 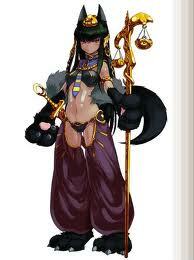 A playful cat woman that serves as one of the guards for Anubis. Though she would rather relax than fight, she will lay her life on the line for her master. A stern jackal woman and one of the guards for Anubis. She is strict, usually seen scolding the Sphinx for her laid back nature. She will do anything for her master. 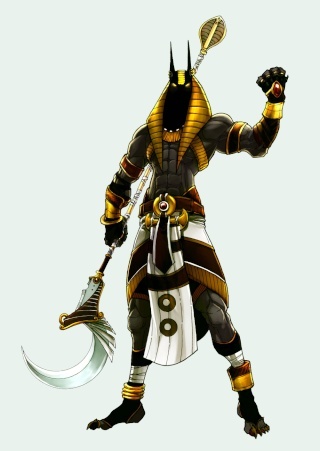 A jackal guard named Azrael that gave his body in service to Anubis. Azrael lies dormant within his own body while Anubis has free reign of his powers. The physical embodiment of the God of Death. 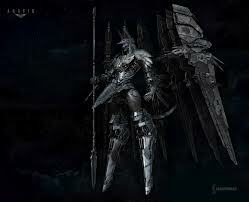 This is the form the God of Death took long ago in order to fight against Humans and Beastkin. Though not completely revived, the power this deity shows is worthy of the gods.